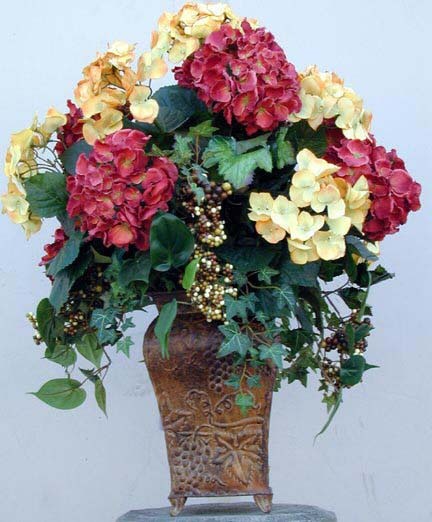 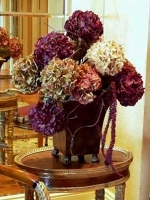 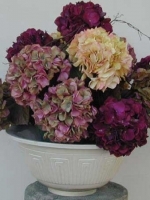 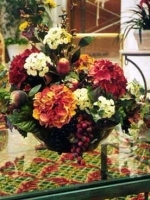 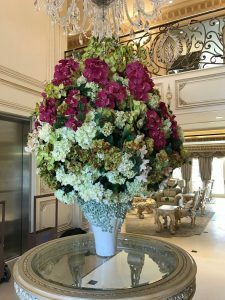 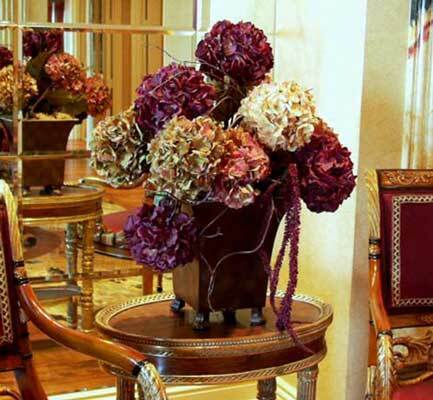 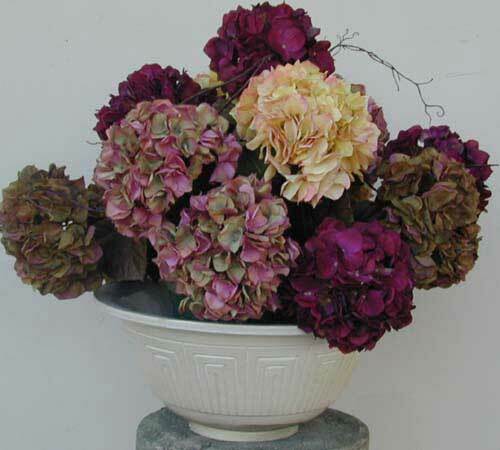 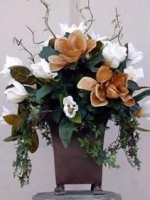 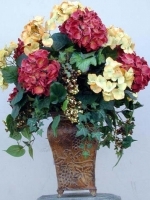 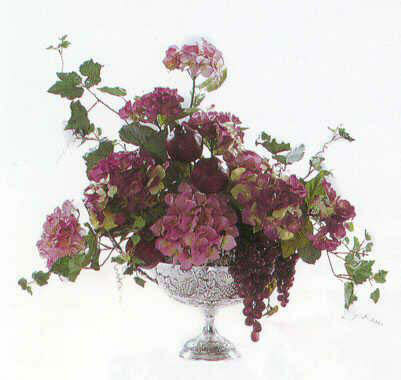 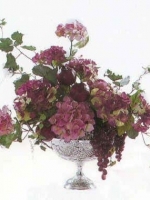 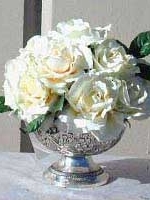 Beautifully hued silk hydrangeas, colorful silk roses so life-like you’ll want to touch them, elegant silk magnolias and succulent artificial fruits are just a sampling of our fabulous Mediterranean inspired arrangements. 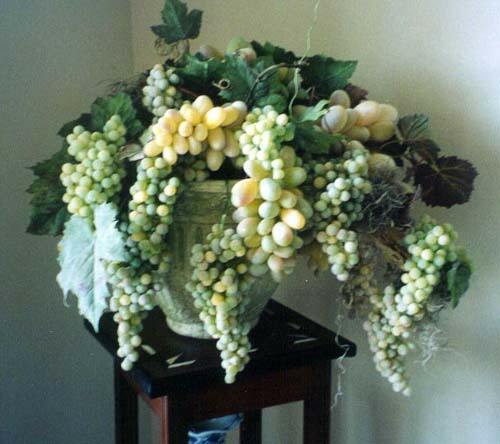 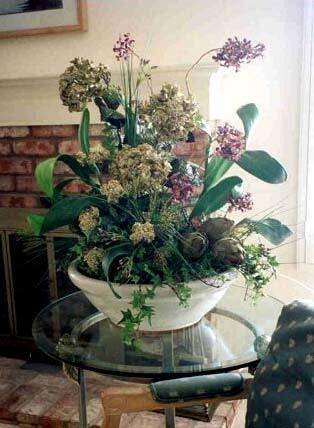 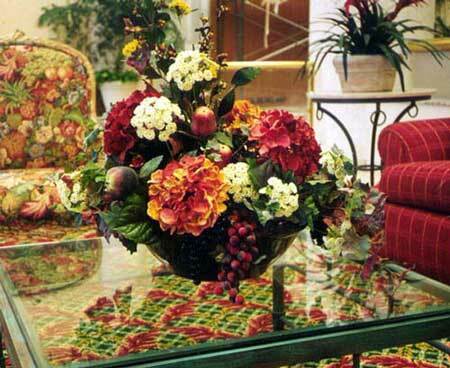 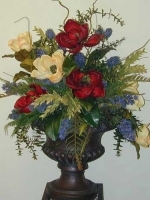 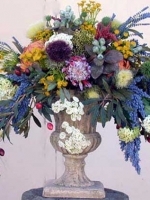 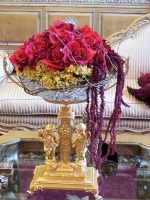 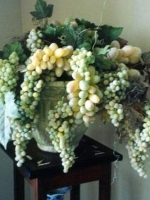 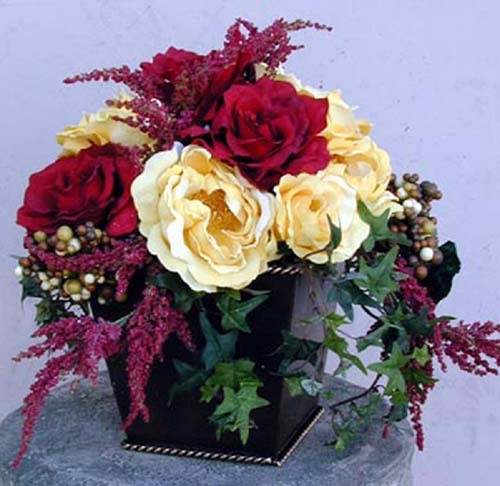 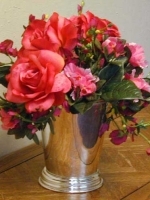 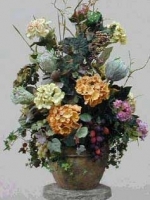 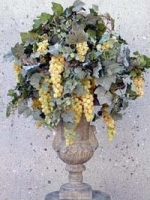 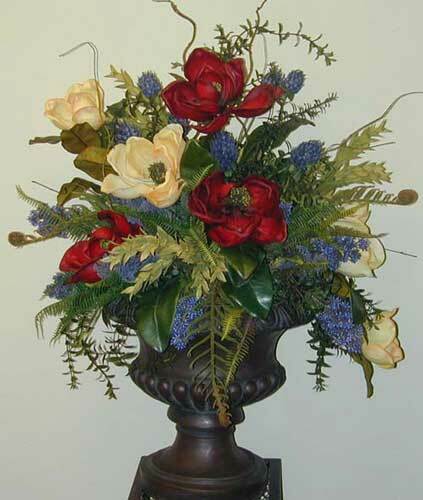 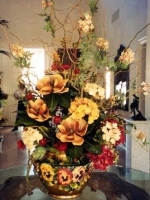 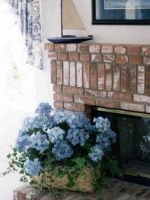 Select from one of our romantic Mediterranean-style artificial floral arrangements shown below, or have us custom design a great faux floral creation just for you. 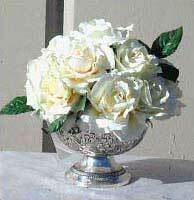 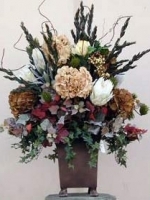 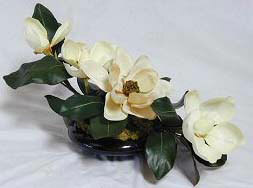 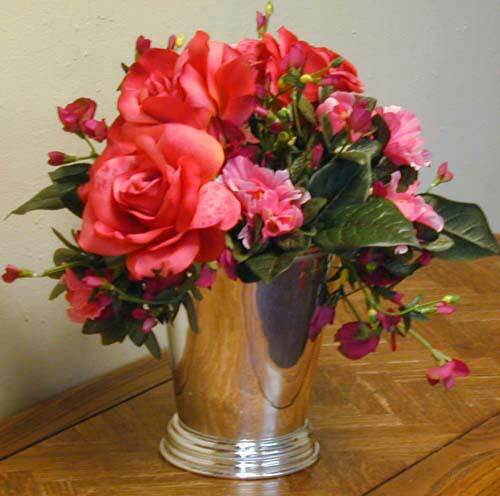 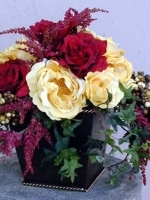 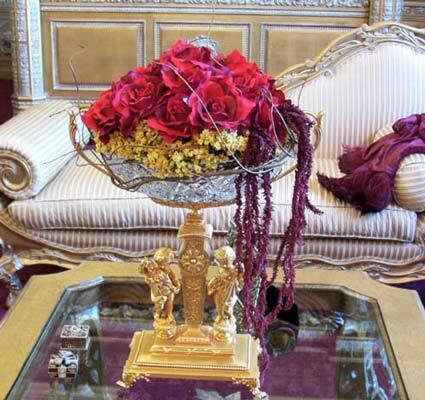 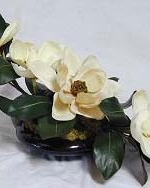 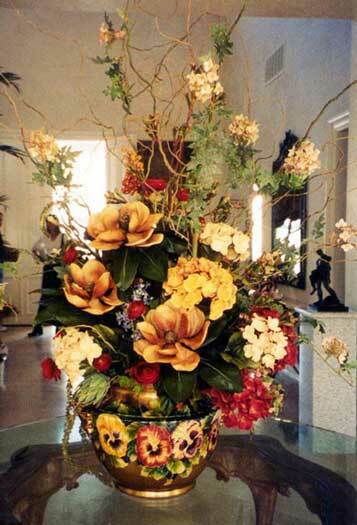 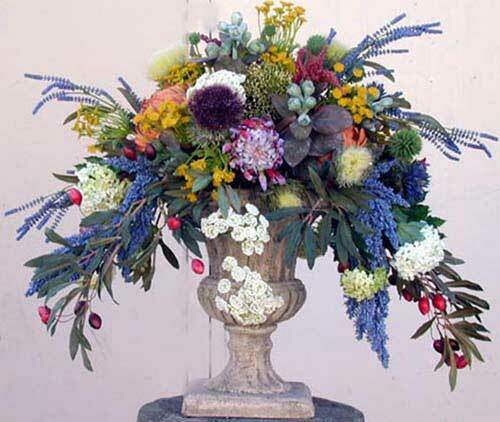 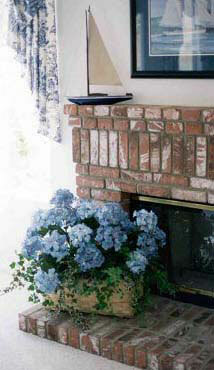 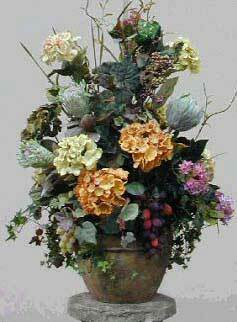 Call Make Be-Leaves today to order your customized Mediterranean-style silk floral arrangement.